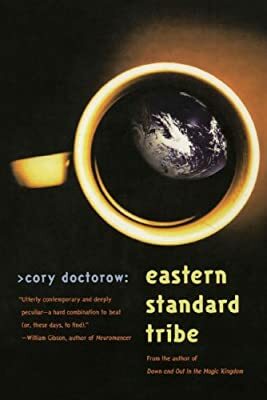 Author: Doctorow, Cory Set In . . .
Art is an up-and-coming interface designer, working on the management of data flow along the Massachusetts Turnpike. He's doing the best work of his career and can guarantee that the system will be, without a question, the most counterintuitive, user-hostile piece of software ever pushed forth onto the world. Instant wireless communication puts everyone in touch with everyone else, twenty-four hours a day. But one thing hasn't changed: the need for sleep. The world is slowly splintering into Tribes held together by a common time zone, less than family and more than nations. Art is working to humiliate the Greenwich Mean Tribe to the benefit of his own people. But in a world without boundaries, nothing can be taken for granted-not happiness, not money, and most certainly not love.